Pioneer introduces a new concept speaker series which is focussed on high-quality sound and quick and easy installation. Tuned exclusively for Renault, the TS-Q131C is a slim 13 cm, 2-way speaker system with a separate component woofer and tweeter. Designed to replace the pre-installed speakers found in Renault automobiles, the TS-Q131C reproduces accurate, vivid sound thanks to the KEVLAR® brand fibre woofer cone. The soft-dome tweeter guarantees smooth natural overtones. 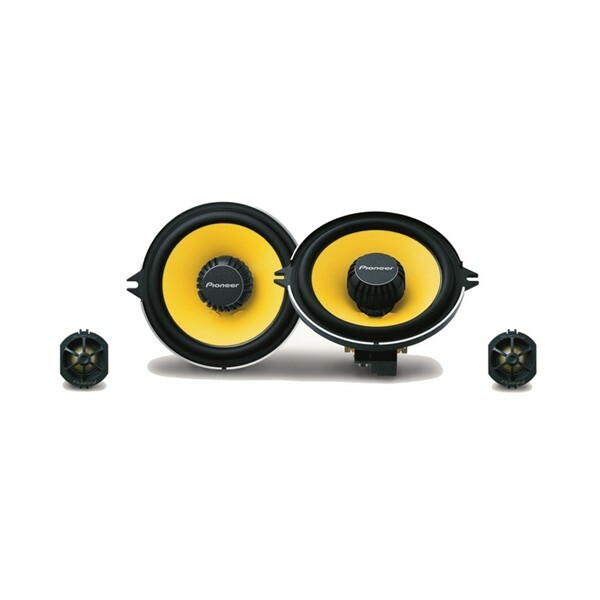 The wooferââ‚¬â„¢s frontmounted magnetic circuit and two-screw attachment system allows for easy installation in the carââ‚¬â„¢s speaker provision. To guarantee quick and easy installation, a highly comprehensible installation guide is included in the package. Audio quality certainly an improvement over stock, no surprises there! Not too bad to fit - '07 Clio Campus. Check out the install guide (Google it)which shows that the dash trim doesn't need to be fully removed; only the passenger side (UK) tweeter is offset (due to a design error? ), which needs a few screws removing to lift the dash trim to allow access. Mids are trivial to fit. I think a sub would help, though.